Jim Goldie is already targeting the 2019 Sky Bet Ebor with Euchen Glen after confirming his charge will be sidelined for at least a year by the tendon injury he suffered when winning last Saturday’s John Smith’s Cup at York. 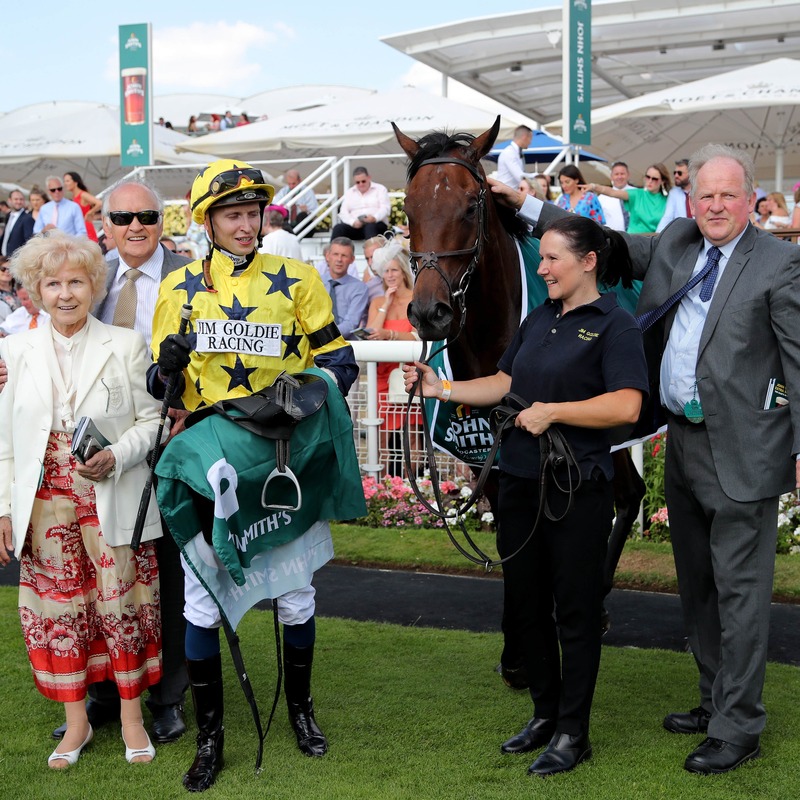 The five-year-old produced a tremendous front-running display to land last weekend’s prestigious £200,000 handicap and in the immediate aftermath his Scottish trainer was targeting a return to York for next month’s Ebor. However, Goldie confirmed on Monday that his charge had returned home lame and subsequent scans have revealed the extent of the damage. “He’s got a hole in his tendon and it’s just a case of how long it takes to recover. We’ll be giving him stem-cell treatment and will throw everything at it and see what happens,” said the Glasgow-based handler. “Next year’s Ebor has to be the target. It might be better if that race wasn’t there actually as usually with these things the more time you give them the better. With next year’s Ebor worth an eye-watering £1million, Goldie is hoping Euchen Glen’s injury could prove to be a blessing in disguise. He added: “Everything happens for a reason and who knows, maybe we’ll be the first horse to win the £1million Ebor. After winning on Saturday he should be on a mark where he’ll get in at least. “It’s disappointing that he’s got injured, but it’s better happening this week than last week.